Double Chocolate Chunk Cookies — urban. apron. 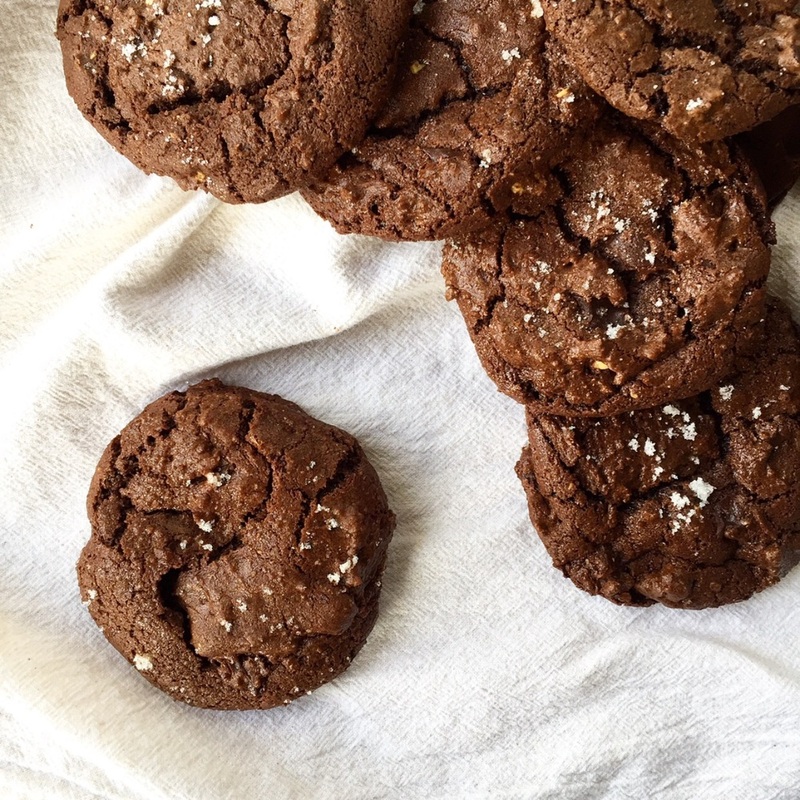 A double chocolate cookie is the perfect cookie when you want to bring something decadent to a friend or party, but don't want to make it overly complicated. It feels a bit more special and indulgent than a classic chocolate chip... and a bit fancier than a brownie. 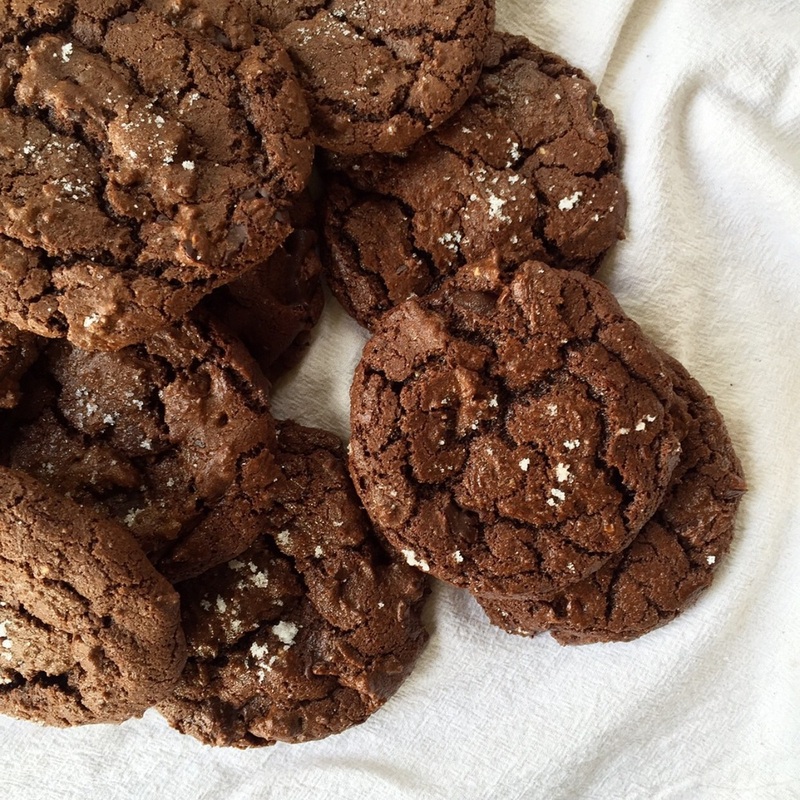 The trick to making to-die-for chocolate chunk cookies is to use very good quality chocolate. My rule of thumb: If you use good chocolate, it's going to taste good. I prefer Bissinger's, my local favorite, or Ghirardelli chocolate. This is definitely a cookie for a chocolate-lover! In a small bowl, whisk together the flour, cocoa powder, baking soda and salt and set aside. In the microwave, melt the first 5 ounces of bittersweet chocolate with the butter in 30 second increments until it is almost melted, stirring after each 30 seconds. When it is almost melted, stir until smooth. Pour the remaining 4-5 ounces of chocolate chunks into the batter and stir to combine. Using a cookie scoop, scoop tablespoon-sized balls on to a cookie sheet lined with parchment paper. Sprinkle a bit of white sugar over the top of the dough ball. Bake at 325 degrees for 12-15 minutes, rotating sheets halfway through baking. Let cool on the cookie sheets for 5-10 minutes then remove to a wire rack to cool completely. Store in an airtight container or freeze for up to 3 months.